Lee Pearson (B. 02/04/1974) is considered one of the most successful athletes for Team GB having competed in Para-Equestrianism at the 2000, 2004, 2008, 2012, and 2016 Paralympic Games. He has won 11 gold medals, 2 Silver and 1 Bronze in Paralympic competition. He first became known when Margaret Thatcher carried him up the steps of 10 Downing St. In 1980 to award him the “Children With Courage” medal. He had 14 operations as a child and thinks “My greatest achievement is ever getting on a horse in the first place.” He couldn’t get on his feet until he was 6 years old. As a child Pearson tried learning how to ride horses and found it difficult to maintain balance on posture in addition he was also allergic. His dad brought him a donkey from a nearby field to learn on and eventually a horse of his own one year for Christmas. 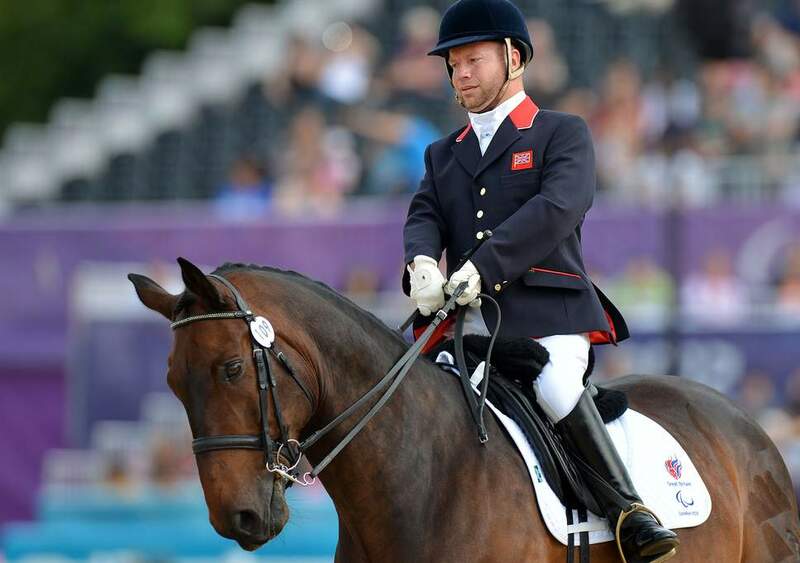 Pearson was inspired by 1996 Paralympic Games in Atlanta and decided to pursue riding as a sport and started training for dressage competition. Initially he did not cope well with disability sport at first but credits the Paralympics and his participation to helping him better understand and feel comfortable with disability both of others and himself. He has since gone on to become one of the most decorated equestrian athletes of all time. Winning 12 Paralympic medals, 6 world championship and 3 European championship titles. “I may daydream occasionally that I’ve got a gorgeous, muscled body, but I don’t have a choice about my disability just as I don’t have a choice about being gay. I love who I am and certainly don’t have a problem about being gay.’” He was one of 2 openly LGBT+ athletes at the 2012 Games in London. Pearson owns a dressage yard in Staffordshire, England.